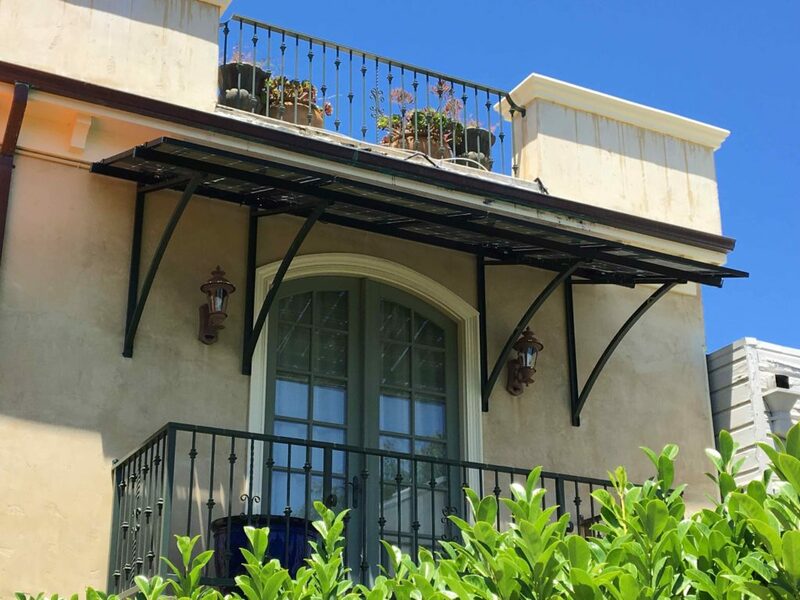 Solar Awnings can now be used to provide shade! The new awning brackets enable a new way to install solar for your home or business, without adding solar modules to your roof. Awning brackets are now available for a single solar module, which can shade a 6 ft door or window. If you have a long run, a large number of modules can be used to build a full sized soalr array. Awning brackets are available in brushed aluminum or powder-coated steel. 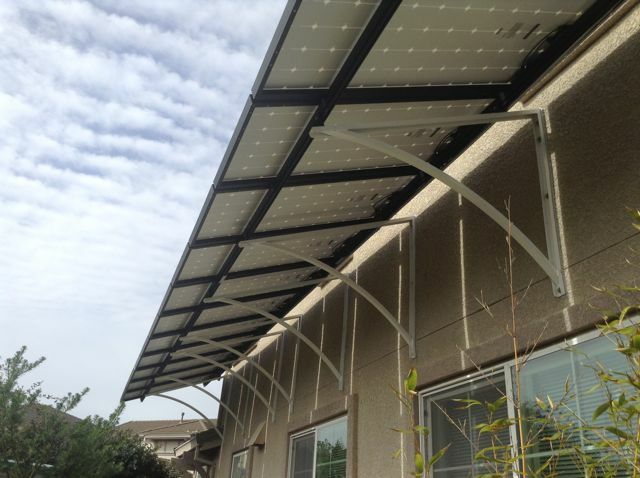 Awning brackets are available as kits for owners to install, or can be installed as a full solar system.